When somebody drops 4.5 million dollars on a domain name, they surely mean some serious business. This is about how much a “mysterious” buyer just purchased icloud.com for, and rumors suggest the domain name's new owner is no other company than Apple itself. Although the information has not been officially confirmed yet, things just seem to add up for now. It is speculated that Apple is already working hard on deploying its cloud-based media storage services, a goal which might have a higher priority than releasing iOS 5. 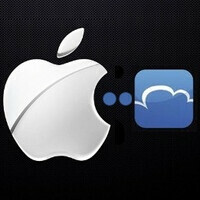 Cupertino is also said to be in the talks with major record labels in order to smooth out the launch of its online “music locker.” Until recently, the icloud.com domain name was owned by Xcerion, a Swedish company which offers free and premium online storage services. The business, however, now operates under its new CloudMe branding. Hopefully, more light will be shed on the matter on June 6, when Apple will be hosting its WWDC2011 event. I do. Why don't you care? Because its not Android related?... Probably. iphone.. ipad.. itunes.. istore..ios.. ect ect ect.. yea, again, im really suprized they havent tried to copywrite the "i".